Some of the dolls are the traditional fairy dolls with actual acorns on their heads some do not have the acorns. 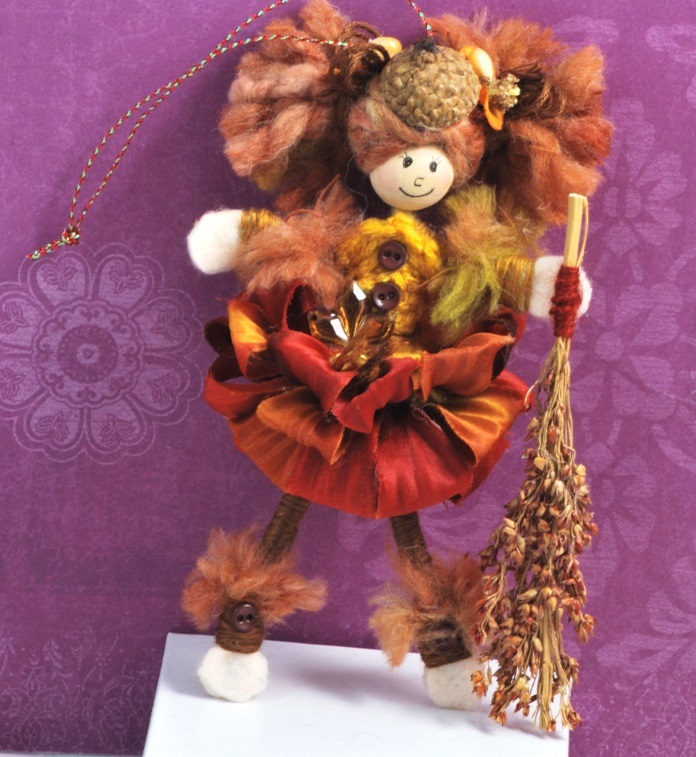 All are made by hand using, yarns, different fibers, felt, flower pedals, embellishments to make the doll. The doll has a hanger and comes with a name tag.